Attention visual designers! Are you interested in contributing to Mozilla QA? 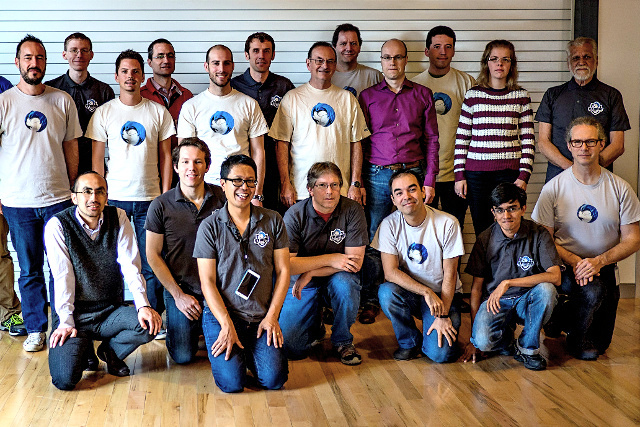 Design a T-shirt for Mozilla’s Quality Assurance (QA) team! At Mozilla QA, we work with our community members to drive software quality assurance activities across Mozilla. We play a key role in releasing a diverse range of software products on schedule. 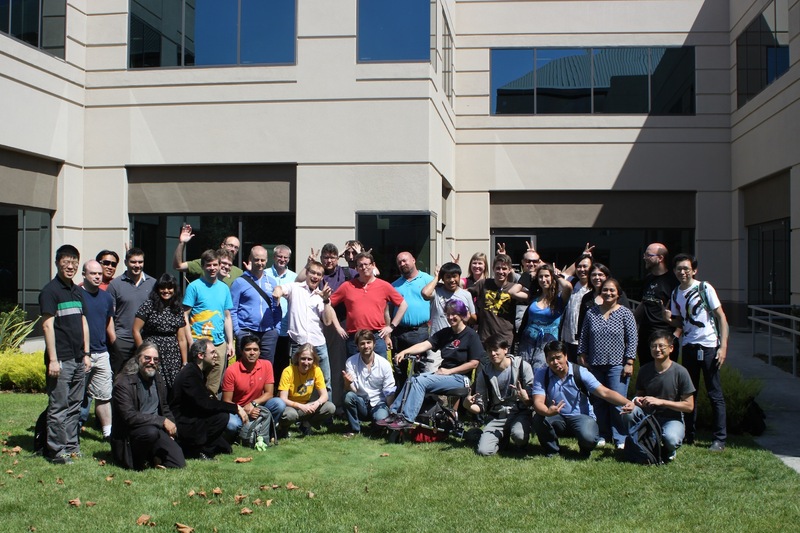 The Mozilla QA team at a Work Week in July 2014. Photo credit: Mozilla. 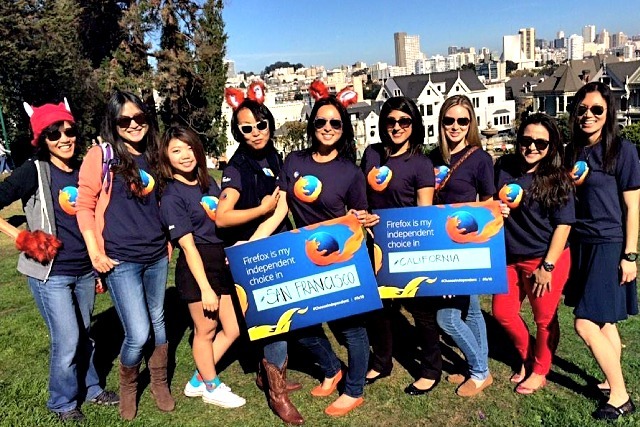 Along with jeans and sneakers, T-shirts are very much a part of a Mozillian’s wardrobe. Not only are they light and comfortable to wear, T-shirts also serve as a medium of personal expression. At Mozilla, we have a special love affair with T-shirts. The walls of Mozilla’s headquarters in Mountain View are framed with T-shirts from the early Netscape days to recent times. T-shirts mark important milestones in the organization’s history, advertise its mission statement, and celebrate important anniversaries. They also announce new product launches, express team solidarity, and help Mozillians recognize each other in public places. 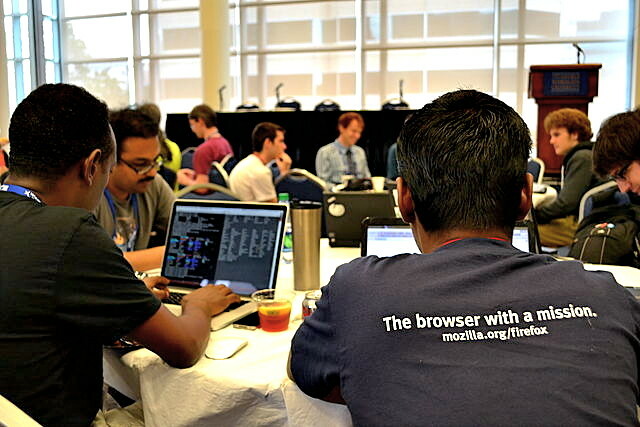 Are you interested in creating a T-shirt for Mozilla QA? You need not be a professional designer – we’d love to have you try your hand at creativity and submit your design. You would be part of an awesome worldwide community and your work would be seen by a lot of people. We want a T-shirt design that would convey the QA team’s unique identity and mission within Mozilla. Your images should be no larger than 20cm by 20cm (about 8in by 8in). If your design is selected, you will be requested to submit vector files or high-quality raster images of minimum 300dpi. Designs are due on Thursday, April 30 2015 8:00 PM PST. Please scroll down to see past and present T-shirts worn by Mozillians. Your design should mesh with existing designs. You could also look at John Slater‘s Flickr album or Wil Clouser’s personal collection. Avoid using existing branding unless you’re able to strictly follow the usage guidelines. Look through the Mozilla style guide for ideas, including official brand color palettes since they mesh well together (though you’re not limited to official colors): Mozilla, Firefox, Firefox OS, Marketplace, Webmaker and Thunderbird. Text may be in Fira Sans. This is only a suggestion; you are not limited typographically. The design should be predominantly illustrative. Photography should not be used at all. If you have questions, please ask in the comments below and we’ll respond as quickly as possible. Jamie Zawinsky frees the lizard on March 31, 1998. Standing behind him are Bob Lisbonne, Engineering Manager and Tara Hernandez, Release Engineer. On this day, Netscape released Navigator 5.0 as open source software through mozilla.org. This iconic t-shirt was designed by Shepard Fairey. Photo credit: Code Rush. 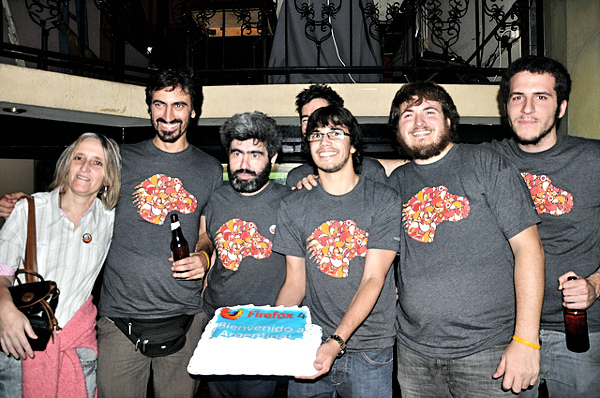 The Argentine community at the Firefox 4 launch party in 2011. Photo credit: musingt. 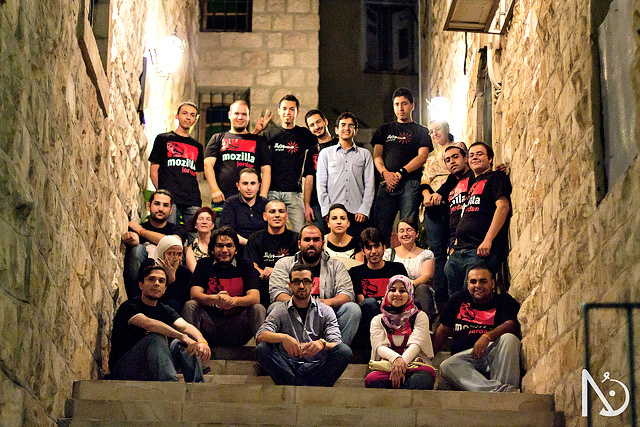 The Mozilla Arabic community with Chairperson Mitchell Baker at Jordan in June 2011. Photo credit: nozom. Firefox is “The browser with a mission” at the Wikimania 2012 conference in Washington DC. Photo credit: Benoit Rochon via Wikipedia. 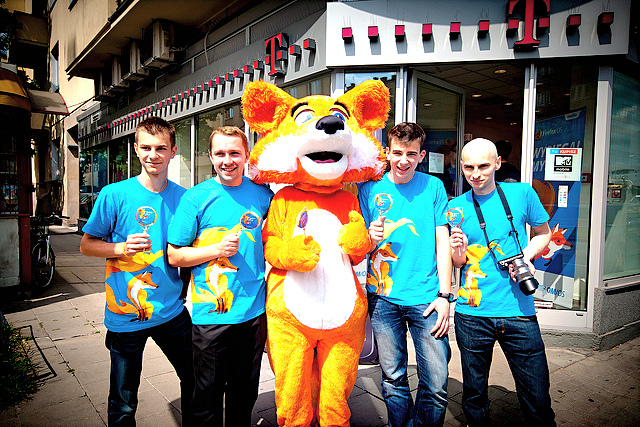 At the Firefox OS launch in Poland in July 2013. Photo credit: Mozilla EU. 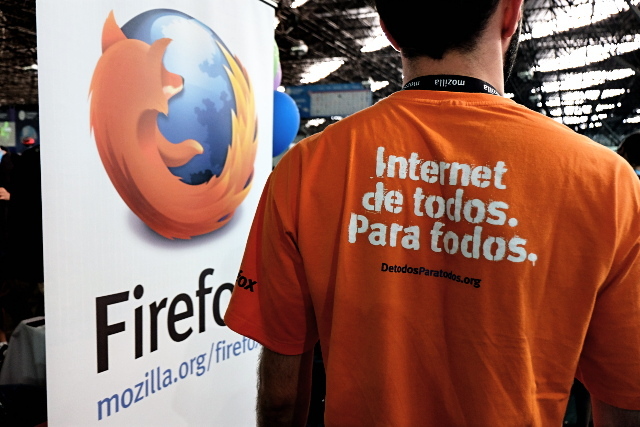 Carrying Mozilla’s mission statement “The Internet for everyone by everyone” to Campus Party Brazil 2014. Photo credit: Andre Garzia. 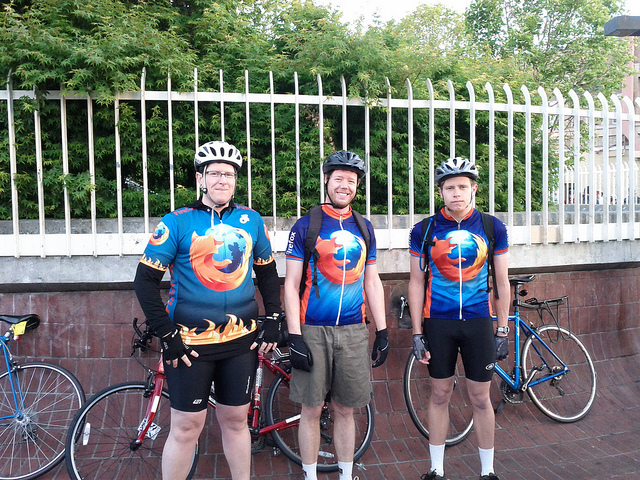 Mozillians cycle together on Bike To Work day in May 2011. Photo credit: Lukas Blakk. The Thunderbird team gets together at the Toronto Summit in 2014. Photo credit: Kent James. Celebrating the 10th anniversary of the Firefox browser in November 2014. Photo credit: Mozilla US. 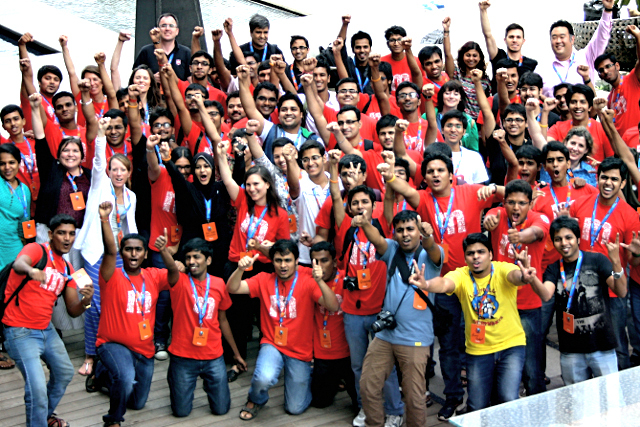 Mozilla Reps at MozCamp India Beta in June 2014. Photo credit: Abhishek Potnis. 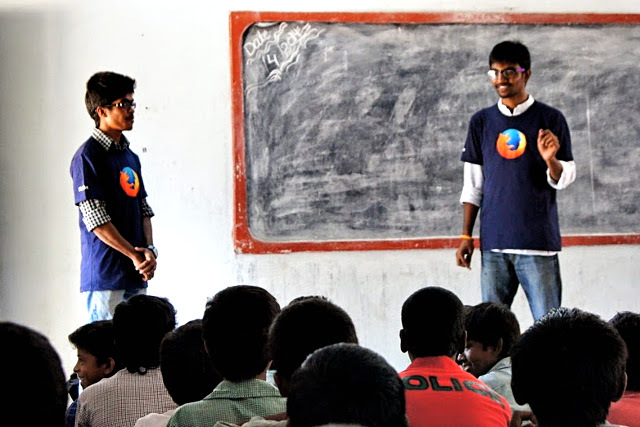 Spreading digital literacy in schools through the Firefox Student Ambassador program. Photo credit: Sruthi. 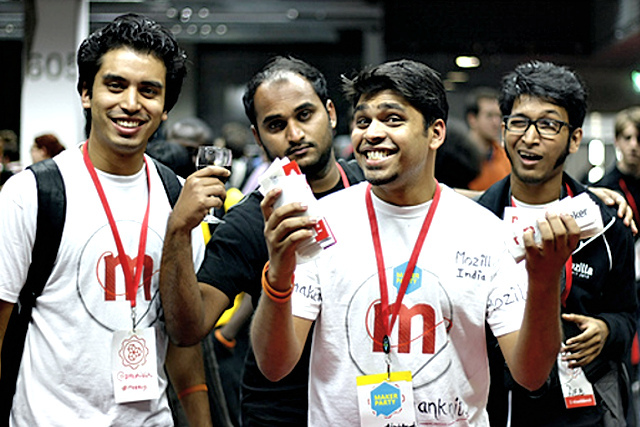 Having fun is always part of the Maker Party! Photo credit: Michelle Thorne. 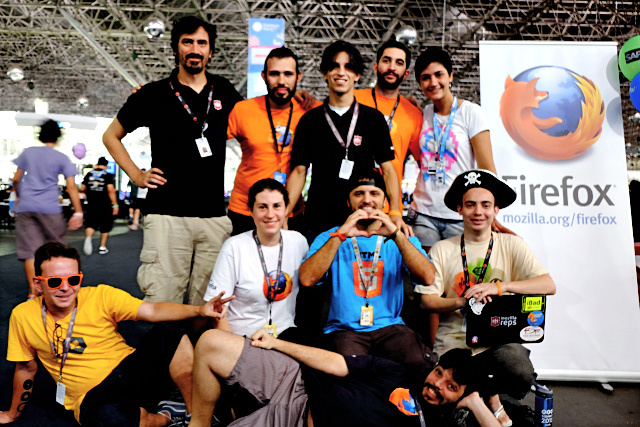 Mozilla community members wearing different t-shirts that mesh well together at the Campus Party Brazil 2014. Photo credit: Andre Garzia. Hi! Is it allowed to enter with more than one design? Thanks! Thanks for the question. It’s probably best if you head over to https://quality.mozilla.org/ and ask this same question there. They’ll be able to give you the answer. i have already uploaded my entry in flickr with the proper tag. how come its still not showing in your flickr album?